Welcome to the 1st BOLD Faith Campaign Newsletter! 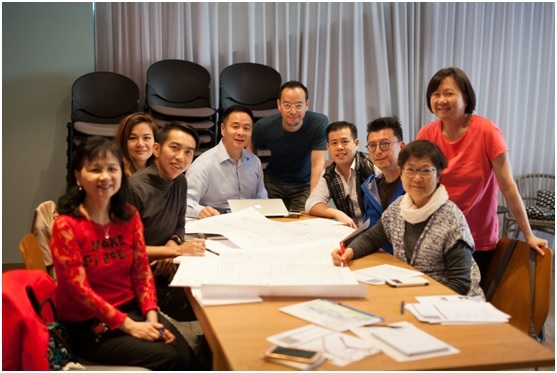 God is calling Island ECC to be part of His bold vision for people in Hong Kong and the region to change people’s lives through knowing Jesus Christ; and this requires our church to build on the past and prepare for our future. To seek either an entire building or multiple floors in a building with a total area of 65,000 to 100,000 sq ft with opportunities to expand. The location should be accessible by MTR with nearby carparks and restaurants. To nurture faithful stewardship. We will endeavour to purchase with sound judgment, leveraging the wise counsel from church leadership and the BOLD Faith Committee. Campaign: This has been the biggest step of faith our church has ever undertaken and we’ve already seen God’s amazing hand at work. We are excited to have Elaine Chow on board as the Development Director for Bold Faith. She is Hong Kong born, Harvard educated, owning a wealth of international experience in capital raising for real estate development projects and an established network of philanthropic individuals, family foundations and institutional funds. She joins Island ECC’s team to follow the church’s vision to bring more people to faith. For strategy, we are calling on the services and wisdom of Rodin Consulting Inc. to create and guide the BOLD faith campaign. Dr. Scott Rodin, an internationally renowned speaker with over 14 books published in 9 languages on biblical generosity and theological stewardship, said, "Our goal is not simply to raise funds, but also to inspire and equip joyful, faithful stewards." We are encouraged that the number of giving and pledges have been increasing and, in March 2018, it surpassed $142 million. Last month, 17 new giving partners has contributed a total of about $3 million to Bold Faith. The annual sum raised to-date is comparable to the giving received from leading NGOs in Hong Kong. As no one can out-give God, Island ECC will continue to stay committed to working and ministering in ways that are consistent with God's generous nature, trusting that He will provide for our every need. Looking ahead, we ask you to join us in prayer that God will continue to touch the hearts of many. Gospel Movement - Pray for Island ECC’s church attendees and believers across the city to discern how God is leading them to rise and serve in this time and place, that the city may be blessed and His goodness to multiply. Capital Campaign - Pray for the work ahead as we continue to raise funds from giving partners around the city. Last but not least, we will seek God’s wisdom and guidance in using His wonderful gifts to Island ECC. It is our commitment to always put ministry over money and seek to be faithful stewards of what He has entrusted to us. Thank you for partnering with us to grow God’s Kingdom in Hong Kong!